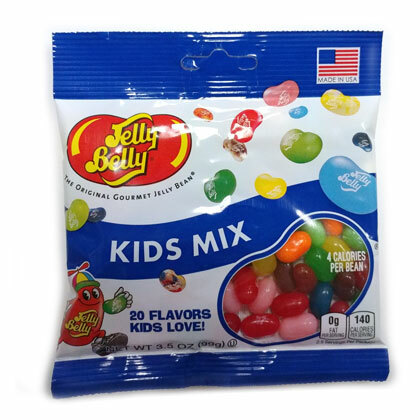 Get the 20 Jelly Belly flavors kids love best in one bag. The Kids Mix contains flavors like berry blue, buttered popcorn, toasted marshmallow, tutti frutti, sour apple and more. Kids will flip for it! Gluten-free. 3.5 oz peg bag.